Hoover is giving you the chance to win a WiFi-enabled washing machine from its new Wizard range. This is the UK’s first fully connected range of kitchen appliances that can be controlled remotely via an app, but if you don’t have a smartphone, don’t worry, you can still use all the appliances manually! This large, 13kg capacity machine will also help you save on water bills as it has an A+++ efficiency rating, and it’s really quiet, even on the spin cycle. The range includes an oven, hob, hood, fridge-freezer and a selection of washing machines and dishwashers. The Wizard collection can be simultaneously controlled, monitored and managed via an app that can be downloaded to Windows PC/desktop, Google Play, Android devices from 4.0 onwards or Apple devices from iOS 7 or later. 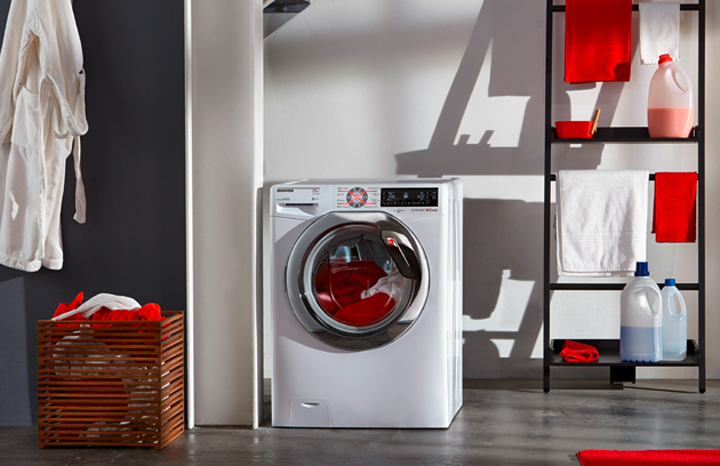 Win a washing machine and tumble dryer! Win a Hotpoint washing machine and iron! Win a fabulous shopping spree! 8 Inside Out toy bundles to win!